Firefox tips on Saving Time: Firefox is the browser of choice for many people, but there are many features that the average user doesn’t know about and hence they don’t use. In a previous post, I told you about a Firefox Tip using Pinned Tabs Today, we will cover some very nice add-ons and one application. You may not want to use all of these, but there are sure to be a few that you would find useful. I find that there are several web sites I open on a regular basis. 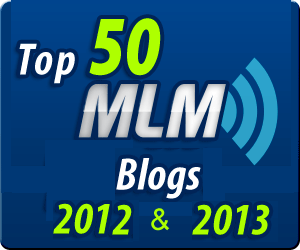 Sites like Hale-Shop.com, Gmail, Facebook, the backoffice for the Daily Marketing Coach program, Google Plus, LinkeIn, My Blog, AWeber, 123RF.com (a stock image site) and Remember the Milk (a Todo List site). It takes time to open each of these windows so I have FireFox do it for me. Step 1 – Open the Options Menu. I have the Menu Toolbar off (to make more space for text in the browser). If yours is on, the screen will look like this. 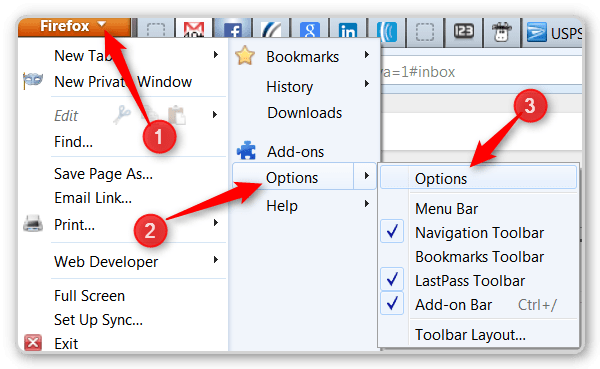 Step 2 – Tell Firefox Use The Email Provider I Use – not Outlook. Here is the screen that opens up. #2 – Find the Mailto: Option and choose your email providers. I use GMail so that is what I chose. The three main options a Outlook, Gmail and Yahoo mail. As I read the Internet Marketing Literature I see two systems for automatically handling passwords mentioned over and over. These are Roboform and Lastpass. I have used them both and prefer Lastpass. That also seems to be the consensus in the literature I read. 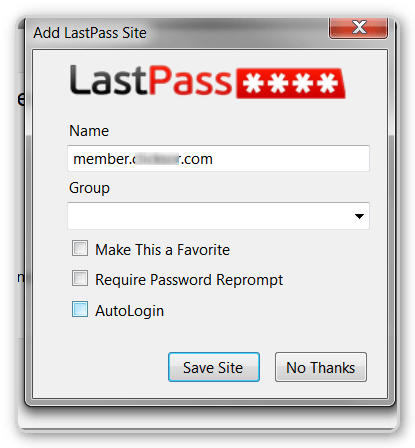 Lastpass automatically fills in account names and passwords for you- saving you time and frustration. Lastpass saves your account names and passwords in an encrypted database on the web. Lastpass automatically saves and retrieves/fills in account names and passwords for you. With the Premium Edition ($12/year), Lastpass will also work on your IPad. You will be asked to create an account (after you reboot Firefox). The Grey icon means that you have NOT logged into Lastpass and it is NOT active. Click on the icon and you will see this screen. Enter that strong password you used when you created the account. 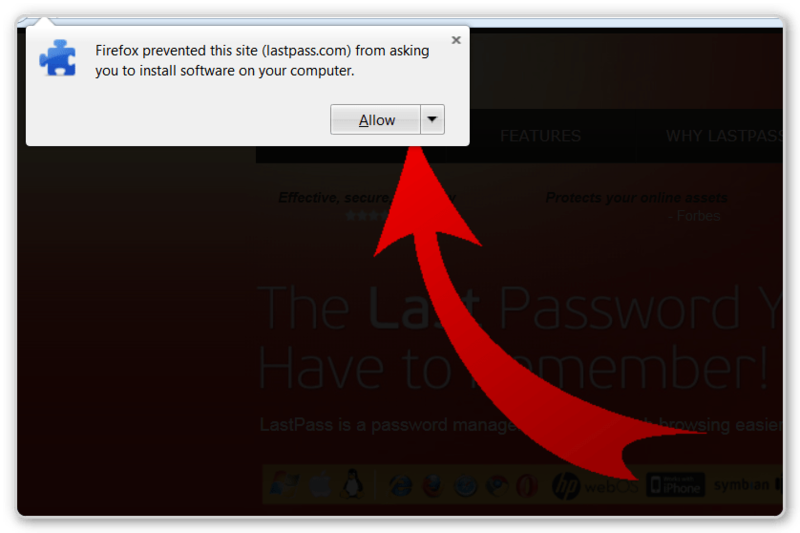 You will see a small window at the top of your browser that asks if Lastpass should save the password for this site. You can choose to save it, not save it or tell Lastpass never to save passwords on the current site.. If you say “yes”, you will see a new screen. Just click the Save Site Button. 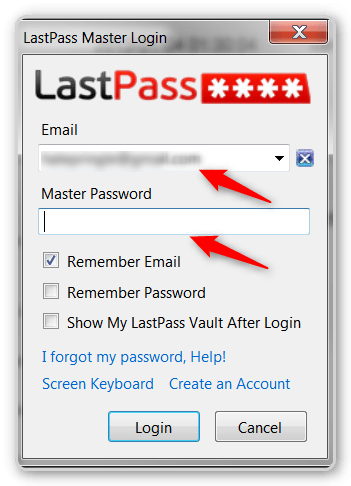 The small red Lastpass icons at the end of the two fields indicates that Lastpass figured out that these two fields are Account and Password fields and filled them in for you. You can also look at the Lastpass “vault” using the secure https browser protocol. Lastpass will usually notice if you change a password and save the new password. It doesn’t work 100% of the time, but none of the system can actually do that. The clues they use are sometimes not given on secure web site to help frustrate hackers. I wrote a full blog post on Rapportive a while back. CYou can see the Rapportive Post. Rapportive takes over the right panel in Gmail. When you open an email or start to compose one, Rapportive will use the email address and automatically see if it can find a person using that email address on Facebook, LinkedIn, Google Plus and several other Social Media Sites. 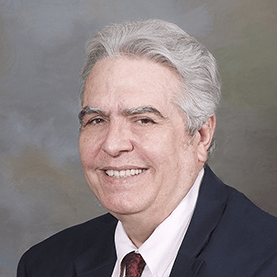 Rapplet – Is the Person in One of Your AWeber Lists? As you can see, the Arrow #2 above shows that I am signed into several of my AWeber lists. 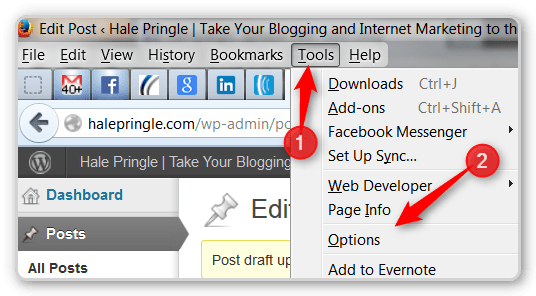 The AWeber integration is an add-on to the Rapportive Firefox Add-on. 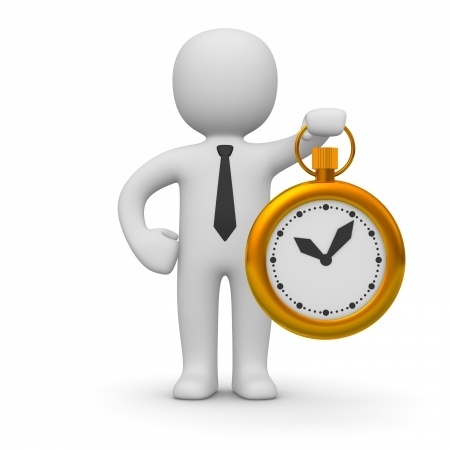 There you have three more Firefox Productivity tips that will save you time and frustration. I think this product will be helpful for a lot of people and it is also cheap.